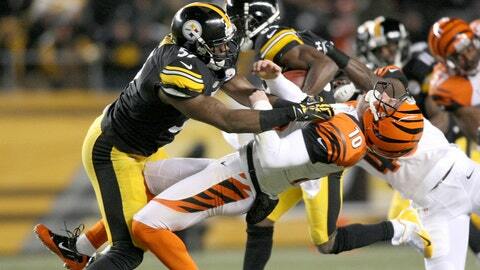 Kevin Huber suffered a broken jaw on this huge hit. Punters and kickers likely don’t get to open much fan mail. But after getting absolutely demolished by Pittsburgh’s Terence Garvin last Sunday night, Bengals punter Kevin Huber received some well wishes from one young fan in Cincinnati. Proclaiming himself as Huber’s No. 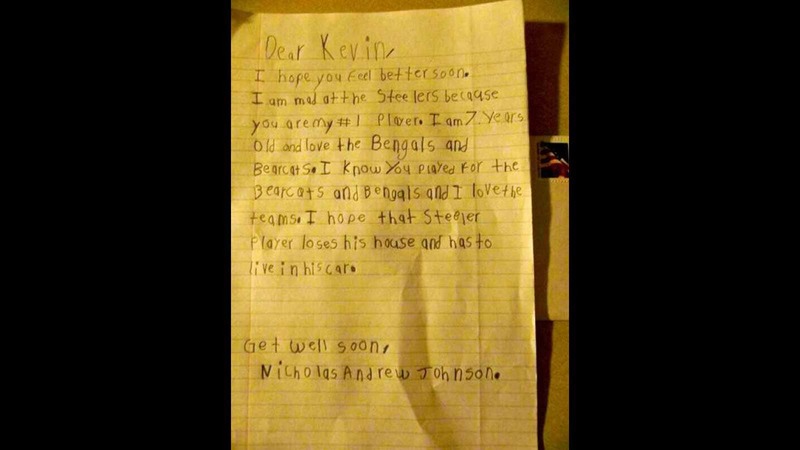 1 fan, 7-year-old Nicholas Andrew Johnson penned a handwritten note to the injured punter, who will miss the remainder of the season with the broken jaw and cracked vertebrae he suffered as a result of the hit. Johnson wished Huber, who also kicked at the University of Cincinnati, a speedy recovery, and had some harsh words for Garvin, whom the NFL said should have been penalized on the play. Check out the letter below, which was originally tweeted out by Johnson’s father and later picked up WKRC in Cincinnati.